The ruling was issued by U.S. District Judge William Alsup in San Francisco, Reuters said. Apple had been fighting class action status, arguing that not all store managers were conducting searches and that any that did happen took just a short amount of time. The case traces its origins back to 2013, when plaintiffs Amanda Frlekin and Dean Pelle said that Apple Store workers had their bags searched every time they left an outlet —something allegedly taking five minutes before unpaid meal breaks, and between 10 and 15 minutes at the end of a shift. Such searches were and are designed to deter theft of products that can cost hundreds or thousands of dollars. While small within the context of a single day however, one plaintiff calculated that they lost 50 minutes to an hour and a half of unpaid overtime each week, translating into $1,400 or more in missing wages over the course of a year. 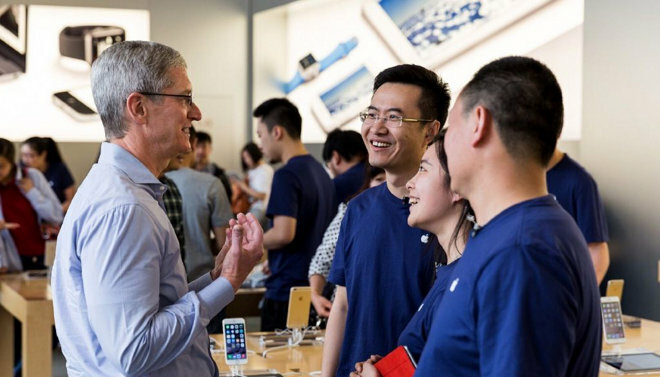 Earlier court filings obtained by Reuters noted that at least two Apple Store workers complained directly to CEO Tim Cook about the searches, calling them demeaning. One sent an email in 2012, arguing that managers were "required to treat 'valued' employees as criminals." This prompted Cook to forward the message to retail and human resources executives asking "Is this true?" Any responses the CEO may have got were not included in public documents.